I currently am trialing 3 dogs and training 2 young pups. I am teaching classes as much as I can at my house during the summer and at a local indoor arena during the winter. I have 13 NADAC Agility Trial Championships (NATCh) on my dogs as well as 9 Versatility NATChes. I have won the NADAC Championships as well as placing 2nd 4 times and 3rd once with Saige and been in the Top 10 at Champs with Paisley. They both are always in the Top 10 for the year in all events. I am getting heavily involved in herding with Chili. She has her WTCH within ASCA and she also was the 2016 Novice Dog Of The Year for the MSSA. She also won 3 of the 4 rounds at the National Finals in July 2016. I used to have horses and rodeo’ed, but since my husband is deathly allergic to horses I turned to dogs. 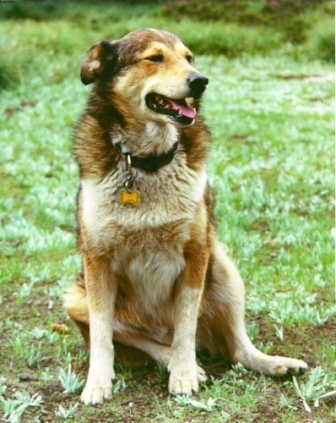 I had an Aussie mix that I got in college named Peyote (from Dances with Wolves, LOL!). When Peyote was about 13, I decided I wanted to have a baby (puppy that is). 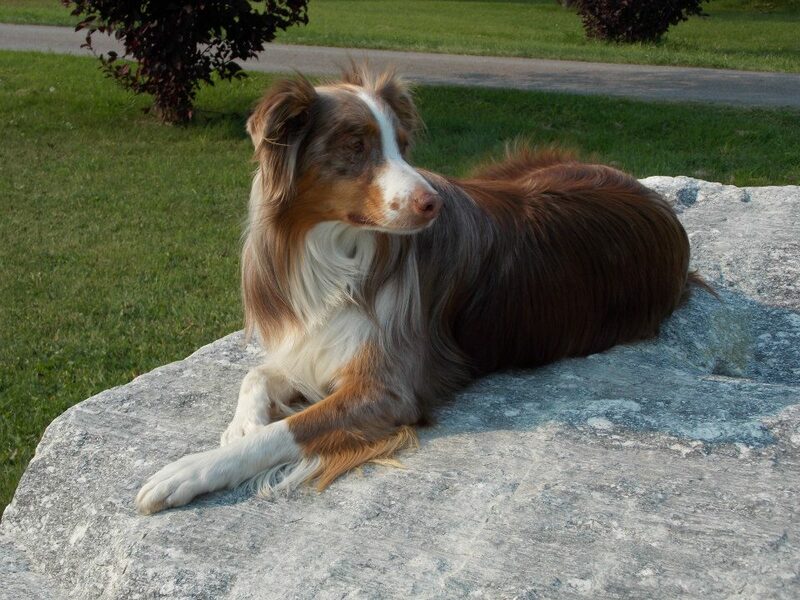 I knew that I liked the Aussie temperment that my old dog had, but didn’t really care if I got a purebred or a mix. It just so happened that I found a litter of ranch Aussie pups. I went and there was this little shy red tri with two blue eyes. She wouldn’t leave my lap so she came home with me. We made a serious mistake and left her home one day with Peyote and her curiousity got the best of her and she got hit by a car at only 7 months old. It crushed both my husband and myself. He told me that I could absolutely NOT get another pup until I got our yard fenced. So after some time I started my search again for my baby. I found a litter in Lewistown. They were only 2 weeks old. I couldn’t stand it and on Wednesday about noon I headed for Lewistown. The “runt” of the litter just would not leave me alone. She had one blue eye and she chewed on my shoe the whole time. So I put my money down and headed home. My husband had never been to Lewistown so the next weekend he wanted to go see our new little girl. What a long 4 weeks of waiting until she got to come live with us. We got Paisley in May 2005. She was spoiled from the day we got her. We protected her every move. When she was 6 months old we lost Peyote from old age. So of course Paisley became even more spoiled. As she reached about 7 or 8 months old I decided I better find some kind of entertainment for her. I contacted the breeder and she gave me Nancy Creel’s name. I got a hold of Nancy and she gave me Sami Jones’ name for puppy school. I started basic puppy school and as time went on, Sami asked if I was interested in agility. I had no idea what agility was! I said sure, I will give it a shot. I was hooked from then on. Sami has become one of my closest freinds and she has helped me from day one with both my dogs. I would not be doing agility and be as successful if it wasn’t for her! Thanks Sami! Paisley started trialing when she was 18 months old. I had no idea what all the rules and points were all about, but in about April 2007 I started to get the gist of things and figured out that maybe, just maybe, Paisley could make it to the Championships. She did in three events. She and I were both so nervous that we made novice mistakes but boy did we have fun! Paisley is now competing at the elite level. I found out about 2 years ago that she had a thyroid issue. She is doing awesome now!! She has qualified for every Championships from 2007 to today. 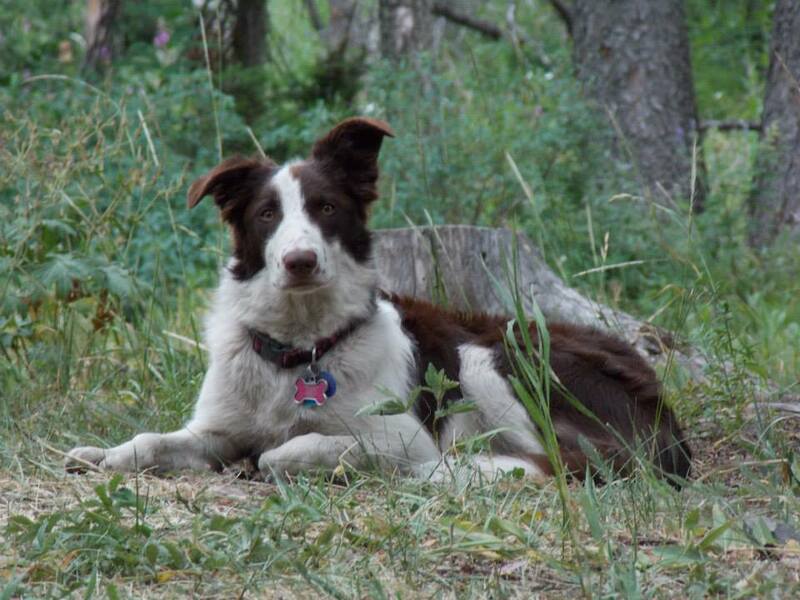 See her page for complete details of her agility career. Saige came to join our family in May 2006. I flew to Fresno CA and brought her home on the plane. She was this dorky, fat little pup, but very cuddly. She made me laugh on a daily basis. As I started training her, I kept thinking, this is one goofy pup. I figured she would be my plod-along, slow, didn’t-really-care dog. WOW was I ever wrong! When she was a little over a year old, she came alive. She started trialing at 18 months old. She made it to the 2008 Championships in all events. I figured we would maybe place in a few special skills classes and have a wreck in regular. Well I don’t know what happened but she ran her little heart out for me. She placed 2nd, 5th, 1st, 2nd, and 5th in Regular and took 2nd overall in the 16″ skilled class. She was 5th and 9th in Jumpers, 7th in Weavers, 3rd in Hoopers, 4th in Touch N Go, and 3rd and 5th in Tunnelers. The dog that beat her out of 1st in Regular and out of the Versatility Challange Cup was a dog that has multiple medals. Not too bad for a baby dog at her first Championships. She is an amazing dog and I am so very lucky to have her. 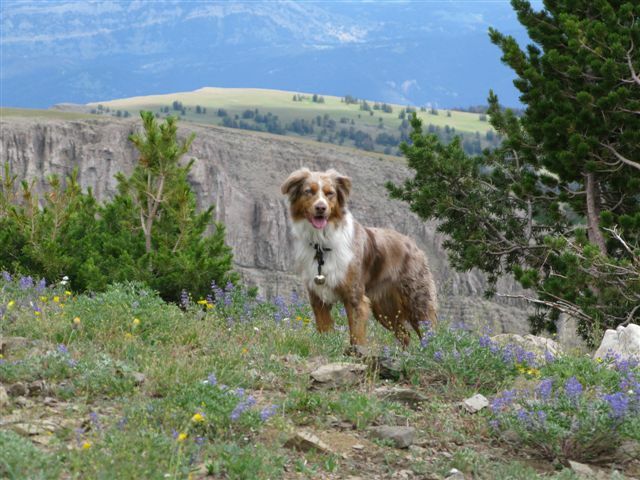 That was just the beginning… see Saiges page for a complete listing of all of her amazing agility accomplishments! 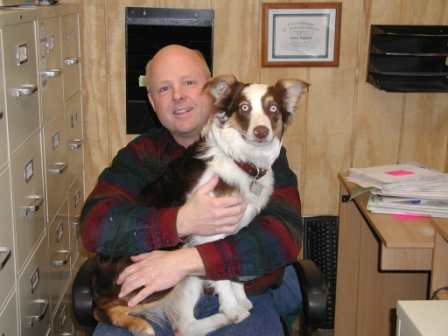 In January 2013 a little red and white Border Collie came into my life. Her name is Chili Pepper. She has the coolest temperment and such a willingness to learn. I am having a total blast with her. Watch Chili grow and learn. 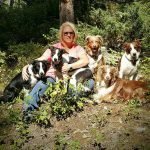 Chili had a litter of pups January 2017 crossed with the amazing Levi from Mill Iron S Ranch. All 7 of the pups have turned on to livestock. I kept two girls and am loving the training process with them. I also run my moms dog Brina. She is Paisleys niece. Click here to see her page.